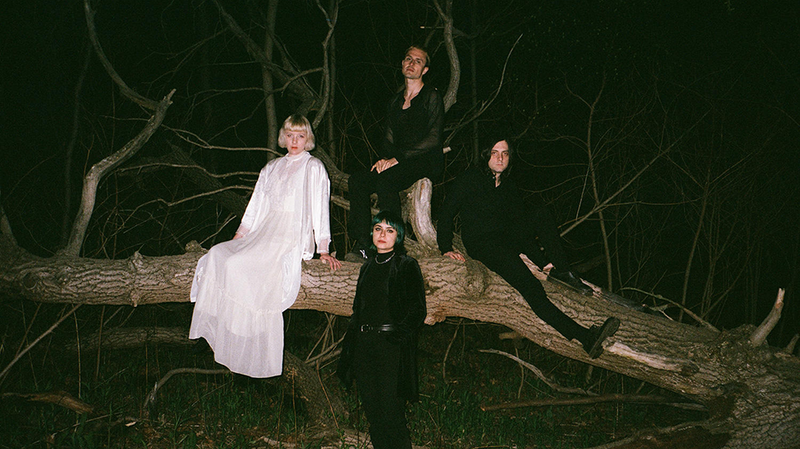 Supporting the announcement of forthcoming sophomore LP Heaven this week, Toronto punks Dilly Dally have dropped latest single I Feel Free as a taste of what’s to come. Sounding somewhat like a heavier, grunge-punk laden version of Pixies, their stellar 2015 debut LP Sore saw Dilly Dally kick in the front door and take over the moment. Its potent hooks and those multi-levelled gravelly vocals of lead singer Katie Monks hit all the right spots. Following the near breakup/death of the band afterwards, the quartet has since risen up to produce the aptly named Heaven, due September 14. I Feel Free opens subtly with Monks’ unquestionable raspy vocals over a soft backdrop before gradually kicking into some mid-tempo chaos. It’s got a chilled vibe, but with the occasional electric shock from the frequent switch in Monks’ soft whispery vocals to throaty wails that keep you tuned in and alert, it’s sweet and brutal all in one. Rather than refine their rough edges for I Feel Free, they’ve harnessed them, managing to straddle the fine line between utter anarchic chaos and peaceful harmony which made Sore so appealing. If I Feel Fine is any indication of what to expect with Heaven, we’re in for another LP treat in what Monks describes as “doom metal vibes with lots of positive messages”.